Gatlinbug and The Great Smoky Mountains are a very special place to my wife and I. We go there to relax, get away, and hike in the beautiful Smoky Mountains. We love the mountains and we love the little mountain village of Gatlinburg. Gatlinburg is also known for the mountain craft community. As a fellow Tennesee craftsman I felt that we needed to help the families that have been burned out of their homes. Dolly Parton and her foundation is going to donate $1000 per family, per month, until they can get back on their feet. Well we want to help the best we can too. We have already donated to her fund personally, but we wanted to do more. So we designed this little candle lantern to represent the craft community and the people of Gatlinburg and The Great Smoky Mountains. We are a small family business near Nashville, and cant make big contributions like big companies can but we can do something. So we are going to donate a portion of every Gatlinbug lantern sale to Dolly's foundation. If you would like to donate on your own, here is a link to Dolly's foundation website. You can donate using any credit/debit card or Paypal. Every dollar will be appreciated by the folks who really need it!! 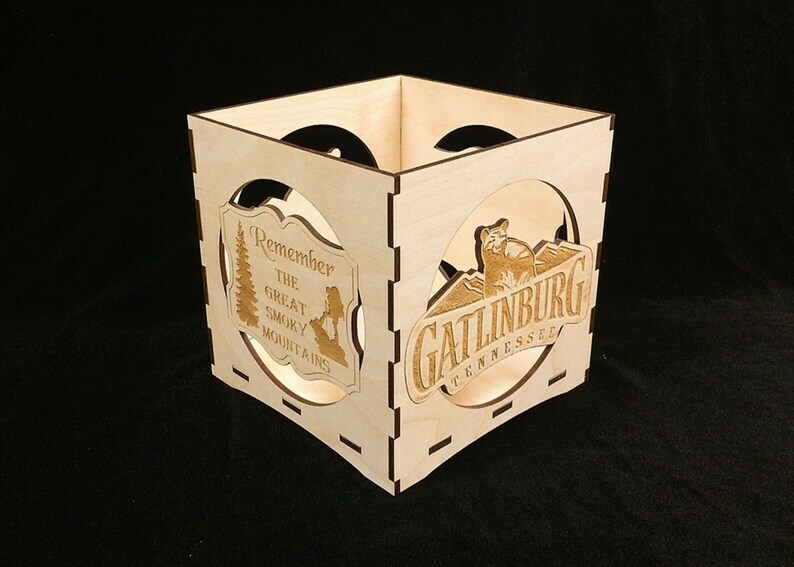 If you would like to purchase something other than our candle lantern to help the folks of Gatlinburg, just let us know, we will engrave any Gatlinburg or Smoky Mountains image you would like on any of our other boxes and we will donate a portion of those sale too. If you have never been to Gatlinburg or The Great Smoky Mountains, plan a trip to go as soon as you can. If you have been there and love it, like I do, go again. The money we spend there will help the community get back on their feet. I ordered this item without even knowing what the second team I picked out even looked like on the holder. I was very, very satisfied! And the care they put into the packaging impressed me even more!